Fight fans the world over who appreciate a gutsy warrior, will always have a soft spot for Polish tough guy Tomasz Adamek. The 39-year-old announced his retirement from the sport he helped make popular last night in his homeland, after suffering just the fifth defeat, and just the second stoppage defeat, of his hugely entertaining 17-year pro career. Adamek was stunned in the 10th-round by Eric Molina, this loss coming in a fight that came at a time in his career when Adamek was half-way towards retirement anyway (which in no way detracts from Molina’s impressive, away from home win). Adamek, like so many good and great fighters, goes out on a loss (if the retirement actually sticks this time) but “Goral,” as Tomasz was nicknamed, gave us so many great ring moments he can always be proud of. For a man who stands the same height as Thomas Hearns (a welterweight legend who rightly achieved a ton of credit for going up and competing as high as light-heavy and cruiserweight) Adamek showed plenty of determination and bravery when we consider the giants he competed against at heavyweight (including, Vitali Klitschko, Chris Arreola, Michael Grant) and whilst boxing in the sport’s glamour division, he managed to hold his own. But it was as a light-heavyweight and a cruiserweight that Adamek really shone; winning world titles in both weight classes. After turning pro in the UK – the scene of his first two pro outings, with Adamek boxing in England on two further occasions – Adamek rose through the 175-pound ranks and, in 2005, won the WBC title with a points win over Australia’s Paul Briggs. Two retentions followed – including a second win over Briggs, this fight, like the first, being a brutal and hugely entertaining affair – before Adamek was dethroned by an unbeaten Chad Dawson in early 2007. Moving up to cruiserweight, Adamek won more gold and he also gave fans yet more incredible action: his 2008 IBF 200-pound title fight win over Steve Cunningham being another Fight of The Year war from the thrilling Pole. As during his tenure as a light-heavyweight ruler, Adamek would mange two retentions as 200-pound champ, before he vacated the belt in search of heavyweight glory. Despite being “too small” for the heavyweights, “Goral” managed good wins over Andrew Golota (in an all-Polish showdown), Michael Grant, Eddie Chambers and, in a return meeting, Cunningham. It was in the middle of this heavyweight run that Adamek fought Vitali Klitschko, then the reigning WBC heavyweight king. Adamek gave a decent account of himself in September of 2011, before being stopped in the 9th-round. Undeterred, Adamek bounced back with the wins over Chambers and Cunningham, before going 2-3 in his next five outings. After 2014 losses to Vyacheslav Glazkov and Artur Szplika, Adamek was eyeing retirement, only to return to defeat Przemyslaw Saleta last year, in another all-Polish clash, and then lose to Molina last night. 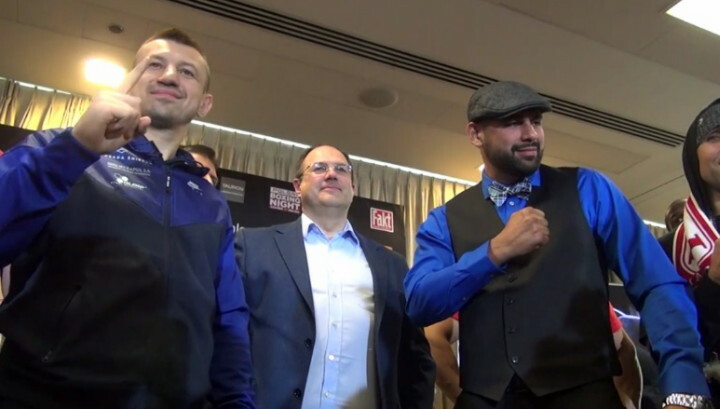 Adamek is hugely respected and appreciated in his home country and he should be remembered by fans all over the world as a very good fighter indeed. A possible future Hall of Famer? Maybe, maybe not. But Adamek deserves consideration for the honour, at the very least. Previous boxing news: Anthony Joshua responds to Tyson Fury criticism: Who does Fury kid himself he is – the second coming of Sugar Ray Robinson!